Finally, a boxing product with the trainer in mind. Boxing sticks are a relatively new invention in the boxing world but have revolutionised training. 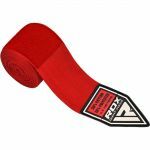 Designed to take the stress and pain away from trainers arms and elbows, the RDX Pro1 Boxing Sticks help to make sure that you can focus purely on training your athlete. These authentic leather focus sticks are handcrafted and built with the perfect girth to comfortably fit in a trainers hands. You’re always protected thanks to shock-absorbent foam padding which is backed up by EVA padding on the inside. 3.8 cm foam on the tips of the sticks provide a soft target, the sticks are 44 cm long with a 4 cm girth for ease and comfort of use. 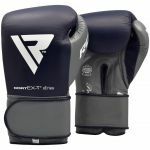 Protective - Designed to take the stress and pain away from trainers arms and elbows, the RDX Pro1 Boxing Sticks help to make sure that you can focus purely on training your athlete. Handcrafted - These authentic leather focus sticks are handcrafted and built with the perfect girth to comfortably fit in a trainers hands. Shock Absorbent - You’re always protected thanks to shock-absorbent foam padding which is backed up by EVA padding on the inside. Good Size - 3.8 cm foam on the tips of the sticks provide a soft target, the sticks are 44 cm long with a 4 cm girth for ease and comfort of use. 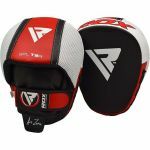 Who are the RDX Pro1 Boxing Sticks For? These training sticks are designed with the trainer in mind. Boxing sticks are a relatively new invention in the boxing world but have revolutionised training. Designed to take the stress and pain away from trainers arms and elbows, these sticks offer an ingenious alternative to traditional pads.